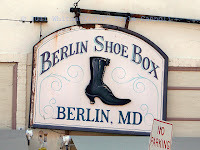 A Leisurely Walk in Berlin, Maryland !! 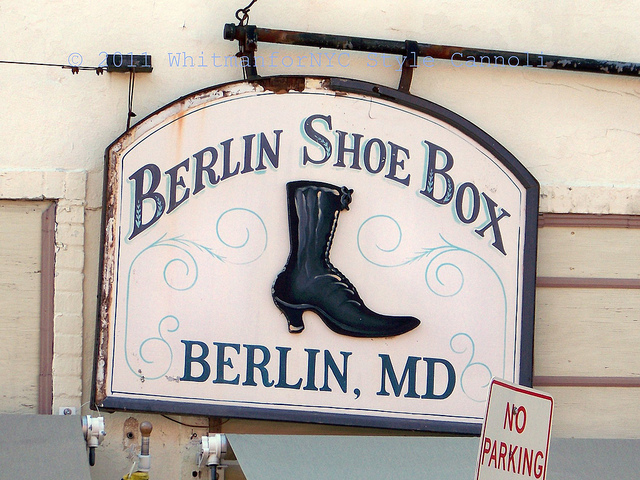 We are back with Peggy, our roving reporter, in the lovely town of Berlin, Maryland. 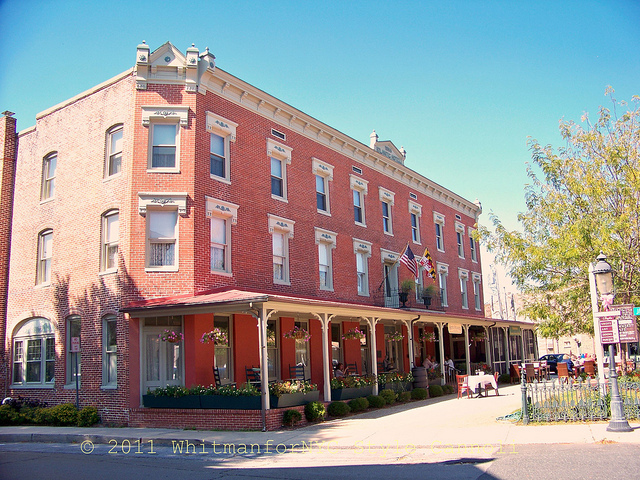 This is the Atlantic Hotel which is just so picturesque! I love the brick and hanging plants all on the porch with the rocking chairs. It seems like you have stepped back in another time zone! 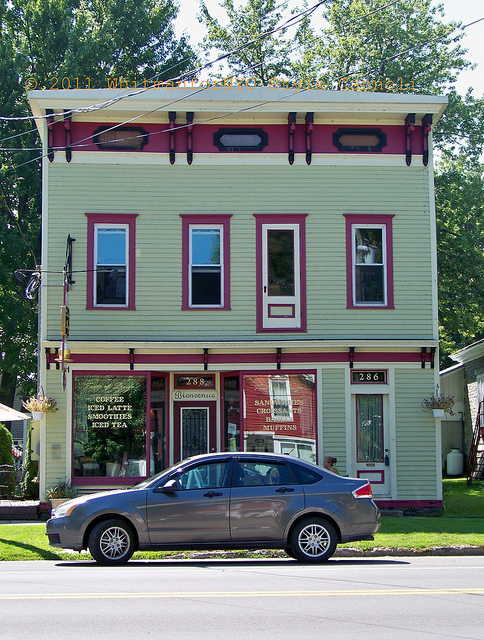 Again, just love this architecture, that window is gorgeous! 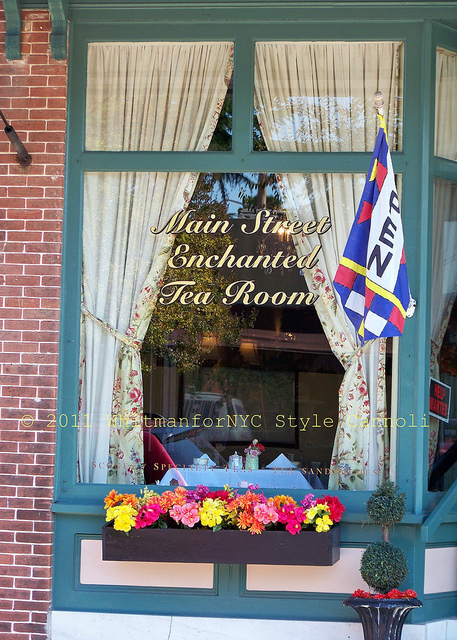 If you were looking for tea, The Main Street Enchanted Tea Room is the place. I would be in here in a heartbeat! The town itself is so relaxing. A great escape from the hussel and bussel of our everyday crazy schedules! 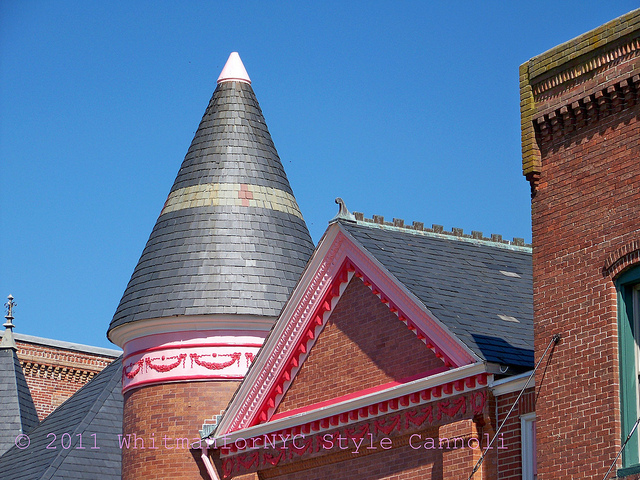 They paint the tops of their buildings pink in the month of October in honor of Breast Cancer month. Okay, yes, cuppies are making an appearance! 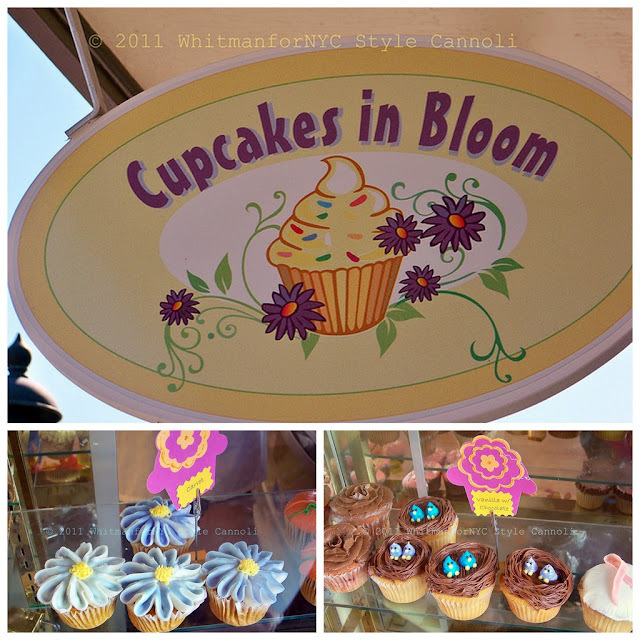 Cupcakes in Bloom is the wonderful shop on Main Street. I love the decorations on them, that rose to the left is a work of art. If there was to be a cannoli cuppie, you know I would have to try one! It was amazing! Filled with the cannoli, ricotta cream with mini chocolate chips. My smile was from ear to ear! 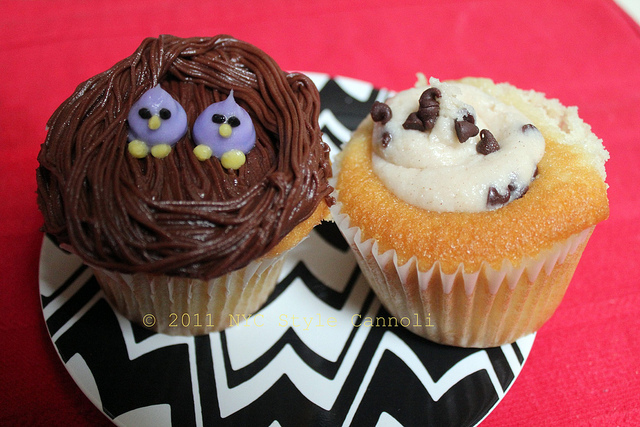 The birdies to the left was a plain vanilla which was very good and moist. If you are looking for a weekend getaway, this would be a nice choice. They also celebrate a Victorian Christmas which I think would be beautiful. You can find out more about Berlin via their website HERE. 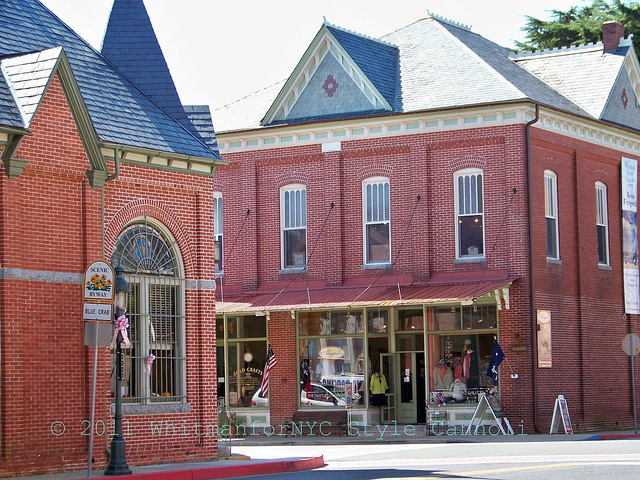 A big Thank You to Peggy for these wonderful photos and a trip to a quaint little Maryland town!! Hopefully Peggy will be contributing a bit more to the blog in the future! 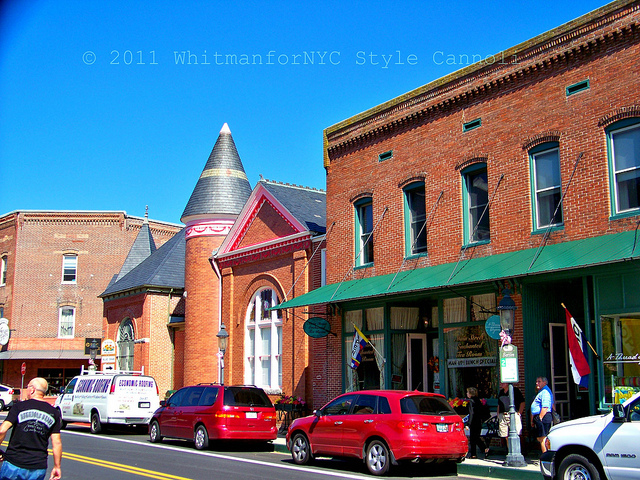 What a cute little town! Yes, I would love to visit it one of these days. Just so quaint!! Such a quaint little place. Love small towns.